So says Charlie Shrem, the troubled bitcoin entrepreneur, speaking to me from his parents’ house in New York, where he’s currently under house arrest. He tells me he classes Karpeles, CEO of the disastrous bitcoin exchange Mt. Gox, as a good friend, but disagrees with a hell of a lot of the decisions the Frenchman has made. Mt. Gox has been dying a slow and painful death for some months, but now appears to be taking its final breaths after documents came to light suggesting insolvency and the loss of more than 744,400 bitcoins (around $426m). As for the company’s management structure, Shrem said Karpeles may call himself CEO, but he “doesn’t make any of the business decisions”. Gonzague Gay-Bouchery “pretty much runs the company”, despite his official job title as marketing director. The company has also hired a lot of developers, but any developer code that’s created has to be looked over and checked by Karpeles, creating a bottleneck that has severely hampered progress. Shrem believes the company should have, long ago, hired an agency to handle its PR, but it didn’t, because Karpeles didn’t want anyone to know Mt. Gox’s inner workings (read: didn’t want anyone to know what a dire mess it was in). He acknowledges that Karpeles and Mt. Gox have done a massive disservice to bitcoin, but said, in a strange way, they’ve also done everyone a big favour – Gox’s competitors will learn from the mistakes that have been made and will progress with more robust and technologically sound models. The 24-year-old admitted he has some bitcoins in Mt. 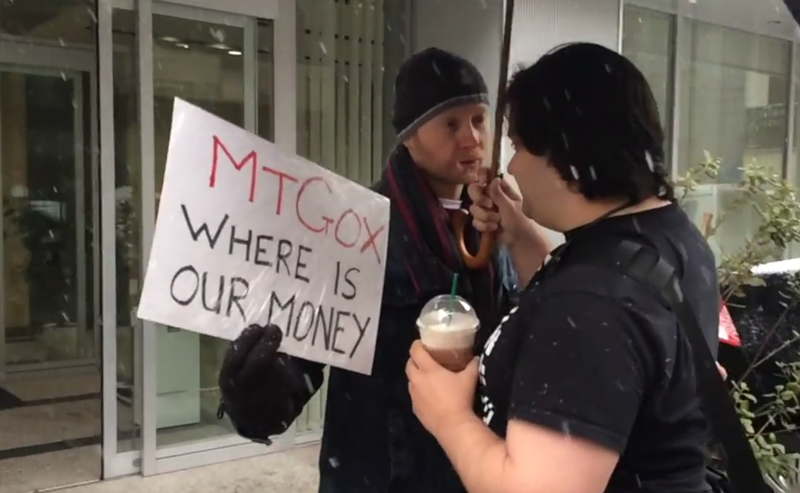 Gox and didn’t sound particularly hopeful that he would ever see them again. However, he’s trying his best to be a good friend to Karpeles at a time when he’s (understandably) being hounded from all angles. And Shrem certainly knows all about that, having been headline fodder for a good few weeks earlier in the year, following his arrest on money laundering charges. “The way they did it – arresting me at the airport in front of a ton of people – the whole thing was set up to make me look like a criminal,” he said. Shrem believes his arrest was carefully planned by the federal government to damage the public’s perception of bitcoin. He thinks the media hasn’t helped matters, either, by “making assumptions” and publishing articles “without knowing the full story”. He is alleged to have been involved in a scheme to “sell and launder over $1m in bitcoins” through the now defunct online black market Silk Road. A document published by the Manhattan US Attorney alleged Shrem knew 52-year-old Florida native Robert M Faiella was “operating a bitcoin exchange service for Silk Road users” and that the authorities have email correspondence to prove this. BitInstant was designed to enable people to quickly transfer money to their bitcoin exchange accounts. The way Shrem sees it, Faiella allegedly advertised his services on Silk Road, and would send his customers on to BitInstant. These customers would conduct the transactions themselves, then send the money to their own Mt. Gox accounts. Once on this site, they would buy bitcoins, transfer the bitcoin to their Silk Road account and buy illicit goods. “Now how many times am I removed from that already?” he added. Having recently resigned from board of the Bitcoin Foundation, Shrem said he is now spending the vast majority of his time focusing on his case and “trying to hang on to my sanity”. He’s working with his lawyer, Marc Agnifilo of Brafman & Associates, to meticulously comb through the 30-something-page complaint against him and try to work out what exactly the charges against him are. Agnifilo defended former managing director of the International Monetary Fund Dominique Strauss-Kahn after he was arrested in Manhattan on charges of sexual assault. Agnifilo’s colleague Benjamin Brafman famously worked with O.J Simpson’s defence lawyer Johnnie Cochran as co-defendant of Sean Combs (Puff Daddy) when he faced illegal weapons and bribery charges. He was also hired to represent NFL star Plaxico Burress who was indicted on two counts of criminal possession of a weapon and one count of reckless endangerment. He hasn’t completely put the brakes on his business activities, though. He said he’s working on a “secret project” that involves bitcoin. He’s trying his best to spread the bitcoin entrepreneurial spirit by giving away the many bitcoin domain names he owns to people looking to start projects within the ecosystem. Shrem said that, at the time of his arrest, BitInstant was about to close a large investment round. He stepped down from the company so this could continue. BitInstant plans to relaunch with a service enabling people to buy bitcoin with cash in stores in more than five countries, paying less than 1% in charges. “Unlike the other American bitcoin companies, we actually have all the licences and the compliance that we need to have, which makes things a lot easier,” he said. The service BitInstant has planned sounds a lot like that recently launched in the UK by ZipZap – customers order bitcoins online, then head to their nearest ZipZap payment location (there are over 28,000 across the UK), pay cash and see the bitcoins appear in their wallets. “We worked with ZipZap for a long time in the US. I was the one that introduced Alan Safahi [ZipZap’s CEO] to bitcoin in the first place and we became really good friends. He’s a big supporter of us,” said Shrem. He’s made quite a few “good friends” over his past few years working in the bitcoin ecosystem, in fact, he jokes that he knows “everyone in this frickin’ space”. “Bitcoin is a brotherhood. That’s the best part about it,” said Shrem. He challenges me to find a more open and accepting community than bitcoin and likens its close-knit nature to that of his Jewish community.